Curious title right? Hope you’re having a great friday, we’re back with some freshly baked goodies just for you! We’ve been working on vines lately, and we’re not talking about those short and funny clips, but the pesky plants that will get in your way until you can find the means to get rid of them for good. Since we’re so considerate, we did add a few ways of doing so, yay for us! Vine burning down, still work in progress! Fire is the key here, you can use a weapon buffed with fire, a spell or even your torch if you get it lit. These will be temporarily blocking certain doors or treasure, and if you’re not able to deal with them at that time, you can always return later to explore. Also, do note that the effect shown above is still a work in progress! Hope it doesn’t have anything inside that melts! 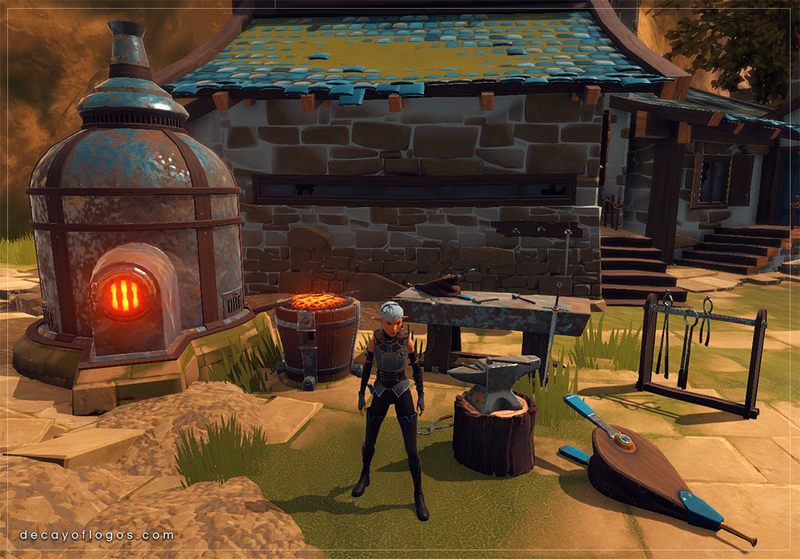 In order to provide more immersion and some visual storytelling, we’ve built ( and then destroyed, mwhahaha! ) some trading carts, used by merchants and plebs who obviously wanted to take their belongings from one place to another. Such a lousy parking spot! There was also an overhaul of the Vallis Sanctum puzzle, which is the largest and most complex obstacle you’ll face in the game. We’ve actually decided to have 2 floors instead of 4, in order to make it more accessible and feel less of a chore in future playthroughs, for those who enjoy the additional challenge of the New Game plus mode. Lastly, here’s another work in progress animation for the new movesets, which are nearly done and are adding such a better feeling to the combat overall! See you next weekend, hope you’ve enjoyed our progress! 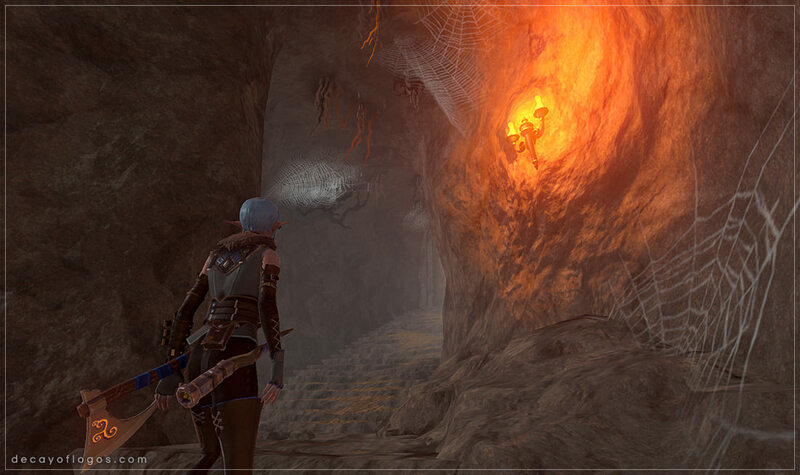 This entry was posted in Animation, Gameplay, Level Design, WIP and tagged 3D, WIP on July 27, 2018 by admin. DevBlog 114 / Fly like an eagle! So, after setting in some mistery, we’re going to make this week’s blog post short and sweet, like the Elk’s favorite meal, Lulaberries! All of the audio recordings for the characters’ voices are done and already in-game, and the music is coming along nicely and will soon be complete as well. A new phase of polishing and balancing will also take place in the near future, together with additional work into the console ports. 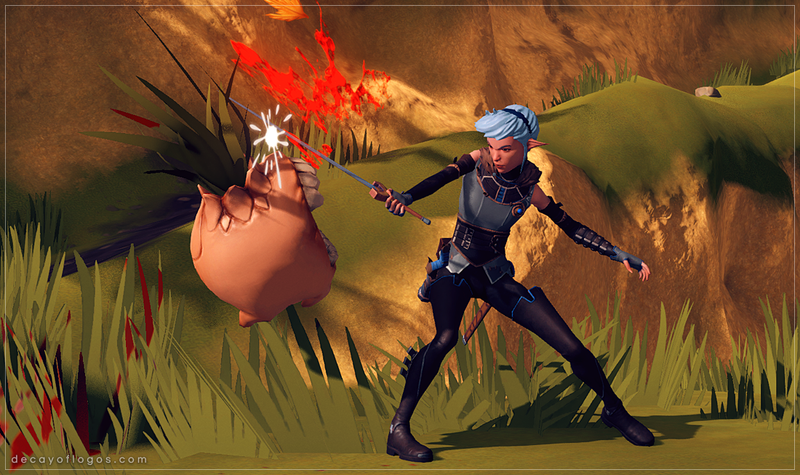 On the artistic side of things, the cutscenes are all getting a little bit of shine and tweaking before we’re done with them for good, and more progress has been made into the new combat animations, each of them being added into the game almost as soon as its ready! Care for some window shopping? As you can see, it’s been an extremely busy week, so we hope you’ve enjoyed the content we’ve decided to share with you all today! This entry was posted in Animation, Gameplay, Programming, WIP on July 13, 2018 by admin. While our teammates from the tech side of Amplify were busy showcasing our products at Unite Berlin, the rest of us kept working on the game… So we do have some goodies to show! To start things off, here are some shots from the last area of the game. 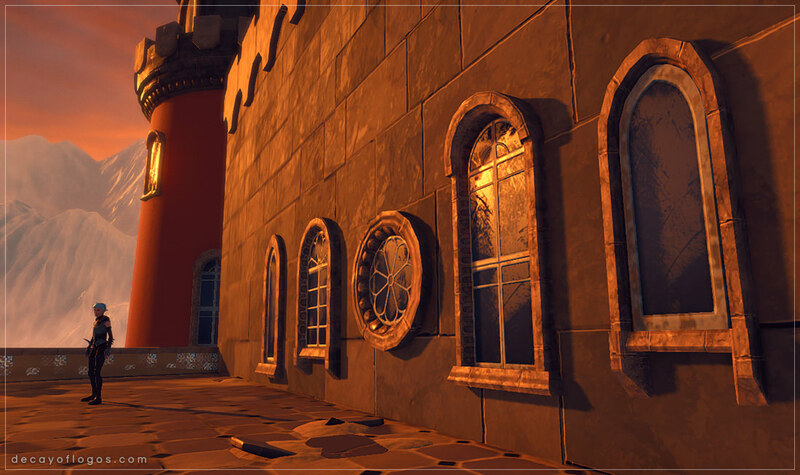 The Palace is still work in progress, but we feel like we can already offer some sneak peeks. 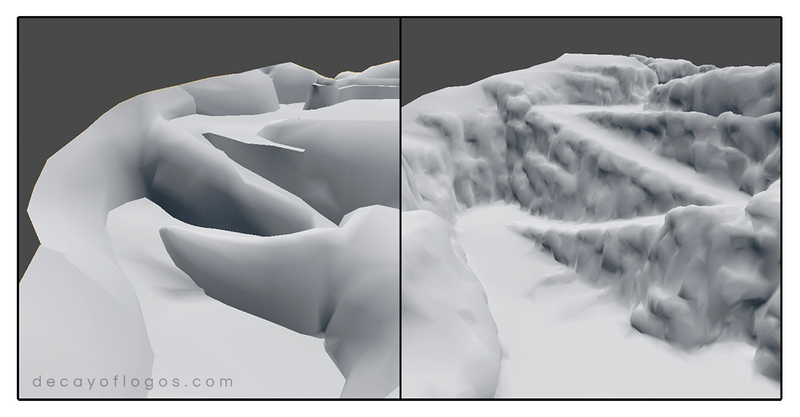 The process of revamping the terrain meshes is pretty much complete. Below you can see a “before/after” comparison – we added more geometry to help with both the silhouette and the vertex painting. Meanwhile, the last cutscene is finally in game, featuring perfect integration with gameplay. 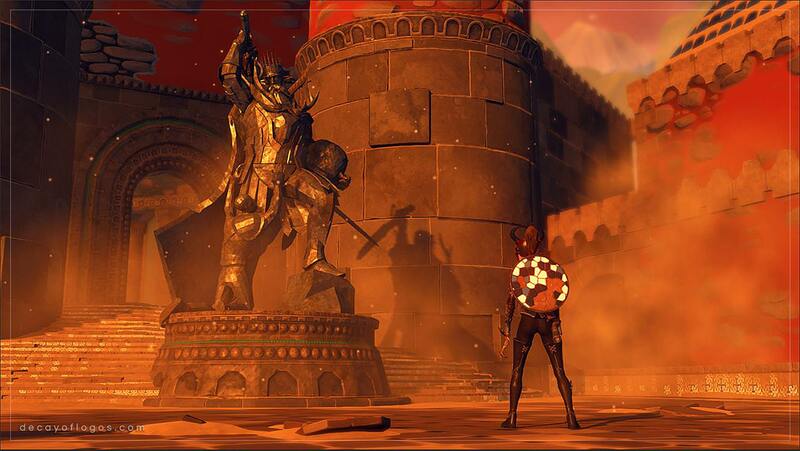 Also, the intro of the game is going very well – it’s a mix of a cutscene and gameplay. 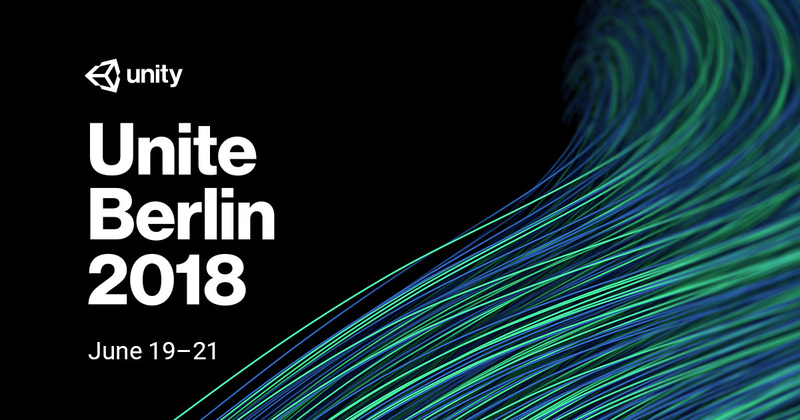 Next week we will recap the Unite Berlin experience, have a great week everyone! 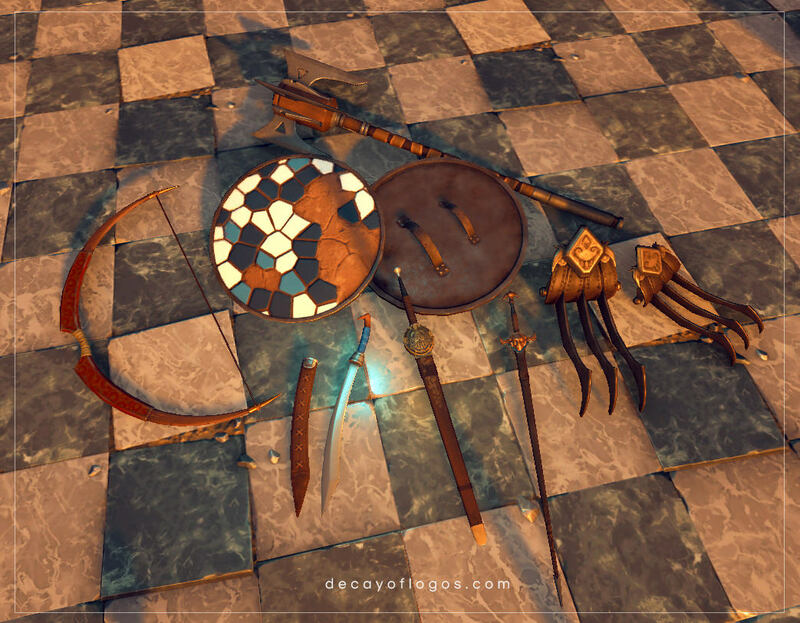 This entry was posted in Dev Blog, Gameplay, Level Design, WIP and tagged 3D, Gameplay, Props, Showcase, WIP on June 22, 2018 by Andre Constantino. 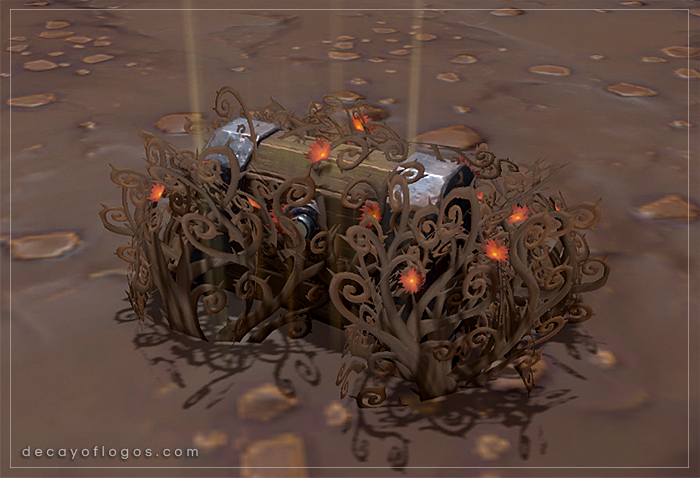 DevBlog 109 / Hoarders, rejoice! 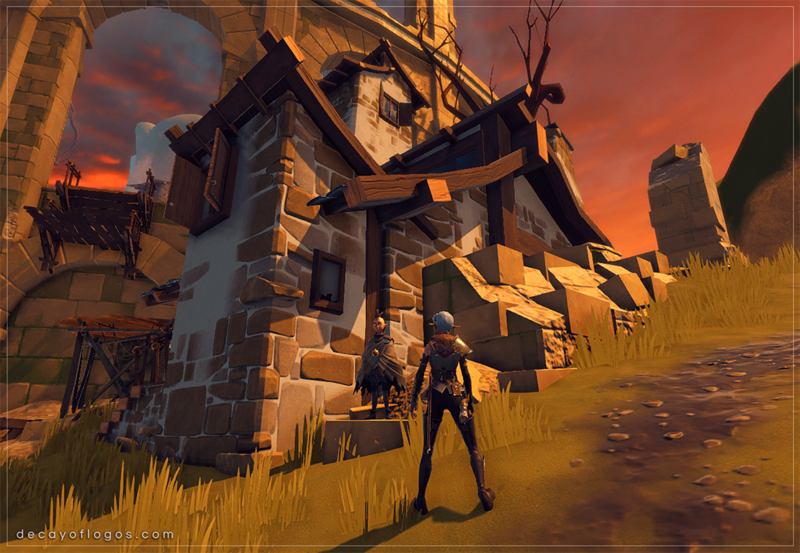 We’re here for another weekly devblog post, this time with some fresh, new screenshots to share, and some additional information regarding our progress! 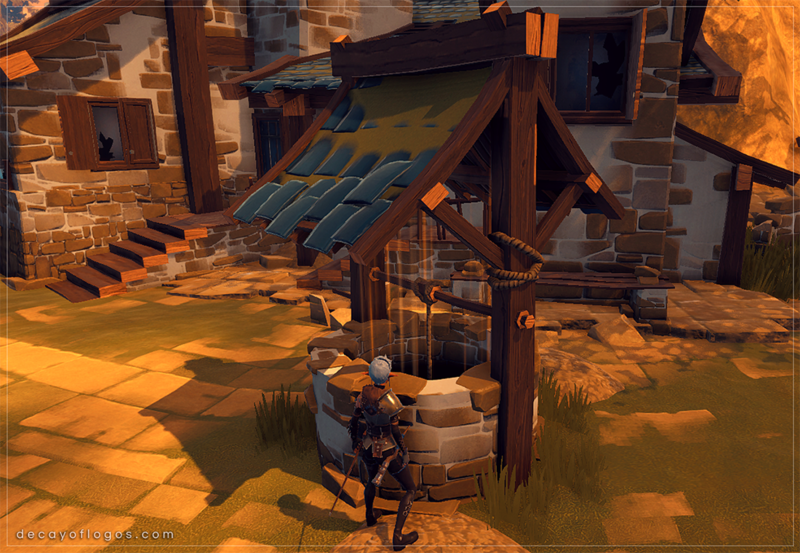 We’ve finished adding some additional content and logic to the village, such as the bottomless well, that you can see in the screenshot above, which allows you to stash all the goods you find without any limits. Perfect for anyone who, like us, loves to hoard stuff! Look how cozy he is now! The NPCs’ positioning has been adjusted, and they will show up as you meet and interact with them during your adventure, and the village’s mood will be changing as you progress in your quest for the truth. 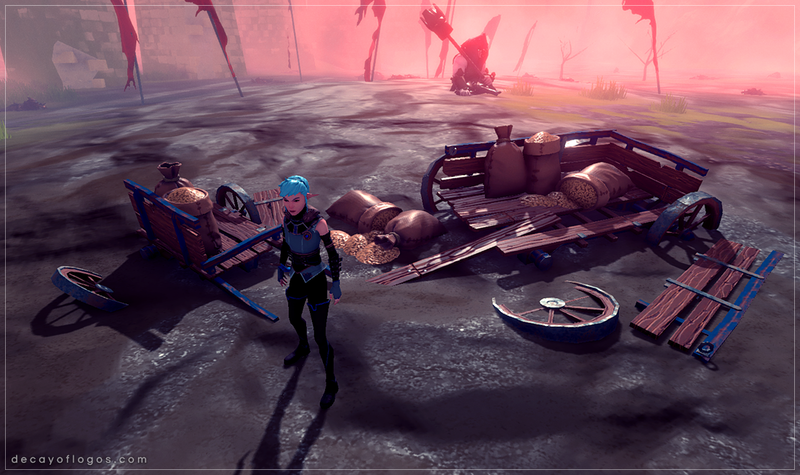 We’ve also continued to work on polishing the game, adding some further detail to the characters’ textures and animations while also reworking the terrain for certain areas, as we’ve mentioned in a previous post. 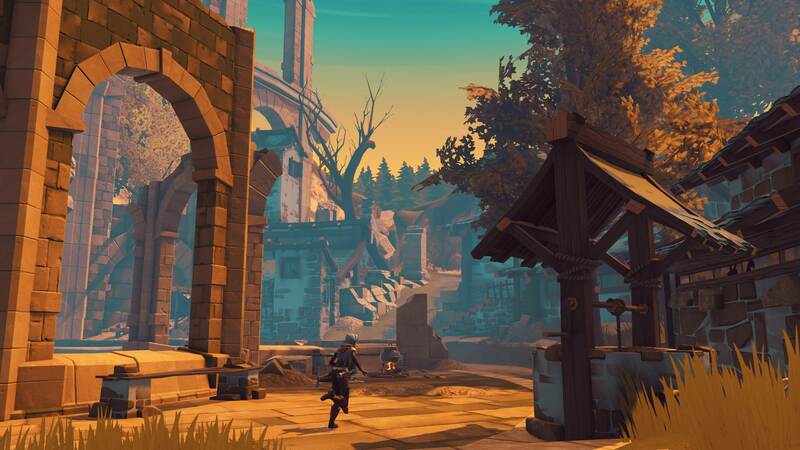 We’re sharing a sample of the music that’s being worked on for the village, which will also change dynamically throughout the game, let us know how you feel about it, all feedback is welcome! Next week, we’ll do another extensive bug fixing run with all the issues and nitpicks we’ve found during out daily QA sessions, which have been both fun and gratifying as we see the game shape up to our expectations! 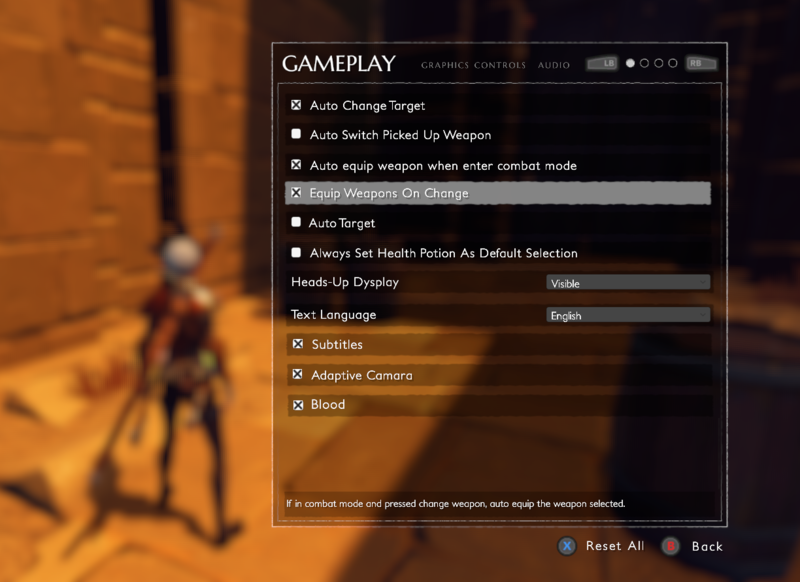 This entry was posted in Dev Blog, Gameplay, Level Design, WIP and tagged Gameplay, Showcase, WIP on June 8, 2018 by admin. 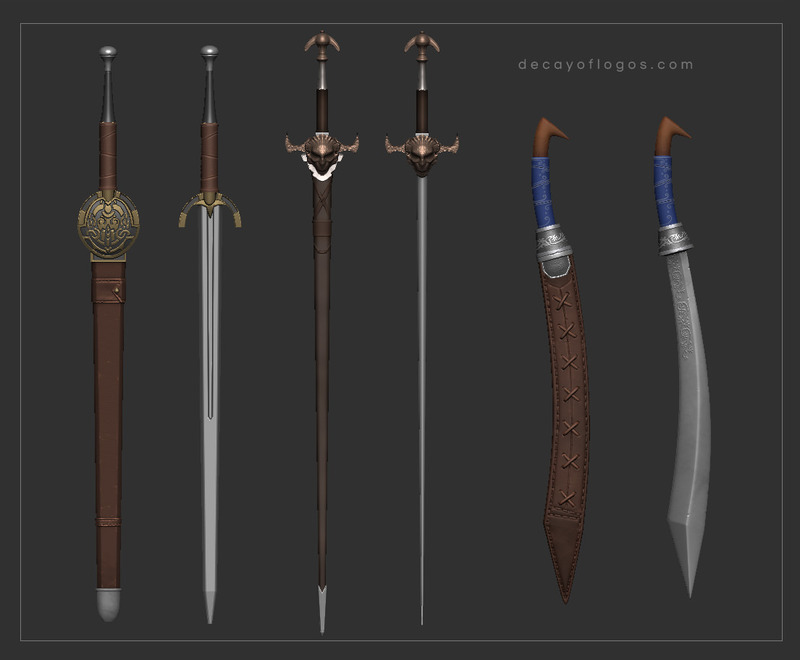 DevBlog 107 / Gotta get them all! We’re going to be present in a big event here in sunny ( but somewhat rainy as of late ) Portugal during this weekend, the Euro Gamer – Portugal Summer Fest, in which a demo of our game is going to be available to be played so, if you’re currently in Portugal, come and meet us! This also means that we’re going to get even more invaluable feedback from many different players, and that is very important to us as developers since we get to see all the distinct reactions and gather all sorts of input that will definitely help us shape the game. Come and visit us for a chance at playing Decay of Logos! Regarding this week’s development progress, we’ve continued reworking the terrain meshes for the first areas, working on the cutscenes and preparing a build for this event, while continuing to fix issues and polish certain mechanics. We hope you’ve enjoyed this week’s DevBlog post, stay tuned for the next one and have a great weekend! 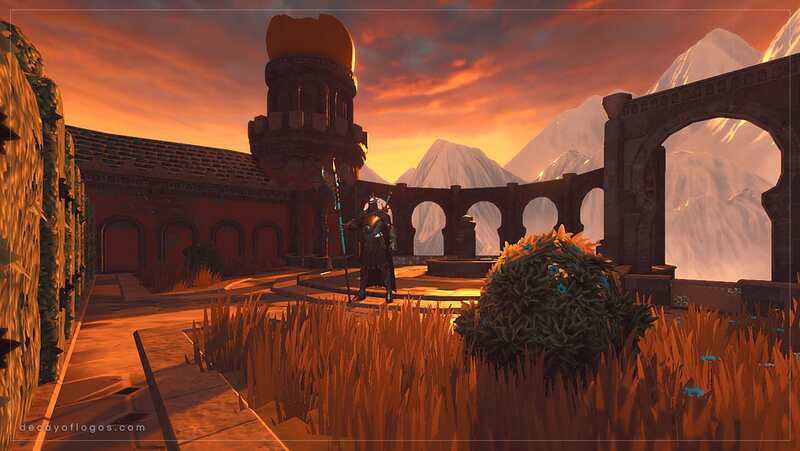 This entry was posted in Animation, Dev Blog, Level Design, WIP on May 25, 2018 by admin.